Alpha Tower-1, Office No.504 5th Floor, Sector 9, Vasundhara Ghaziabad - 201012, U.P. GMD Infratech Pvt Ltd is a prominent builder widely known for both residential and commercial projects throughout Ghaziabad. Their motto is ‘Dedication. Quality. Passion’ which essentially highlights their key values. Their vision is to be the most trusted and innovative real estate developer in India and maintain to provide quality living to all our stakeholders and help their dream come true. Keeping this in mind, GMD Infratech’s mission is to provide value-driven results to their customers, employees, environment and industry. Some their prominent projects include commercial buildings, hotel rooms, independent floors and villas all located in Ghaziabad. Under the leadership of their Managing Director, Mahesh Sharma, the company has made some great strides in the last ten years. 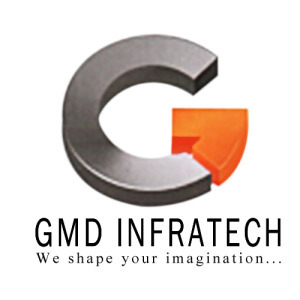 GMD Infratech is known primarily for their eye for detail and their exceptional floor plans and designs. Keeping international standards in mind, the finish throughout the homes are carefully planned and executed while consulting experts to ensure best quality. Their customer service and ability to follow up with interested parties also sets them apart as they are extremely passionate about real estate and building homes. As their properties have all yielded exceptional turnovers, one can only expect a bright future for GMD Infratech.